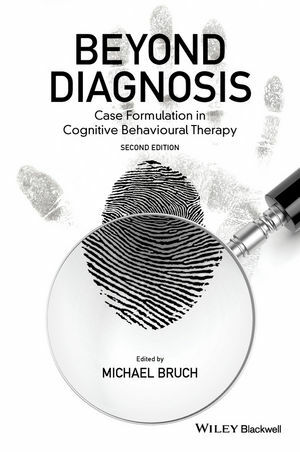 The second edition of Beyond Diagnosis is a fully updated and expanded examination of Vic Meyer’s pioneering case formulation approach and its application to cognitive behavioral therapy. Michael Bruch is a Consultant Cognitive-Behavioral Psychotherapist and Senior Research Associate in the Department of Psychology at University College London. He is also a visiting professor in the Dept of Psychology at London Metropolitan University. Previously, he was co-director of the Cognitive-Behavioural Psychotherapy unit at UCL and visiting professor in the Dept of Mental Health Sciences. He teaches CBT with particular emphasis on case formulation at a number of universities across Europe. His main research interests involve conceptualization of complex disorders, psychotherapy training and supervision, and case formulation. He has published widely, including five books on CBT.